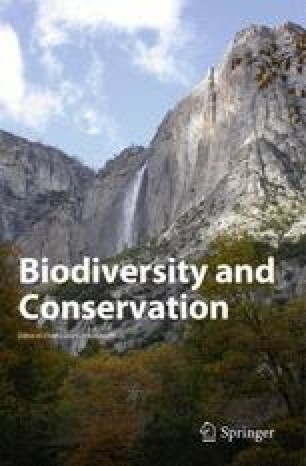 The achievements of initiatives to strengthen biodiversity conservation in developing countries may be difficult to assess, since most countries have no system for monitoring biodiversity. This paper describes a simple and cost-effective, field-based biodiversity monitoring system developed specifically for areas where ‘specialist staff’ is lacking. We discuss the preliminary lessons learned from protected areas in the Philippines. Whilst the monitoring system aims to identify trends in biodiversity and its uses so as to guide management action, it also promotes the participation of local people in the management, stimulates discussions about conservation amongst stakeholders and builds the capacity of park staff and communities in management skills. In addition, it seeks to provide people with direction regarding the aims of protected areas, and reinforces the consolidation of existing livelihoods through strengthening community-based resource management systems. The field methods are: (1) standardised recording of routine observations, (2) fixed point photographing, (3) line transect survey, and (4) focus group discussion. Both bio-physical and socio-economic data are used and given equal importance. The system can be sustained using locally available resources. The approach is useful in countries embarking on shared management of park resources with local communities, where rural people depend on use of natural ecosystems, and where the economic resources for park management are limited. We hope this paper will encourage other countries to develop their own biodiversity monitoring system, letting its development become a means for capacity building whilst at the same time supporting the creation of ownership.